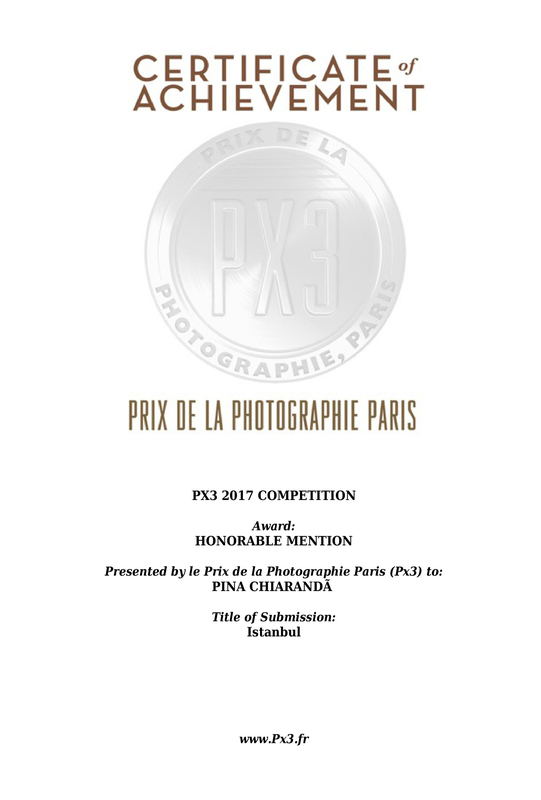 PINA CHIARANDÀ OF ITALY WAS AWARDED HONORABLE MENTION IN THE PX3 2017 COMPETITION. Pina Chiarandà of Italy was Awarded Honorable Mention in Culture category for the entry entitled, " Istanbul ." The jury selected winners from thousands of photography entries from over 85 countries.